Who doesn't love a good sale? Well, how about a GREAT one? The Etsy SAFEteam is having a HUGE sale that includes many of it's members. Let's get a few of the questions out of the way. What is Etsy? It's an online marketplace for handmade goods. What is the SAFEteam? SAFE stands for Soap Artisan Friends of Etsy. We are a group of sellers on Etsy that sell handmade bath & body products. When is the sale? The sale runs from Friday, June 19th through Sunday, June 21st. What is offered for sale? Check the SAFEteam blog for a list of sellers & their offers. You can also find a list on the SAFEteam Etsy page. 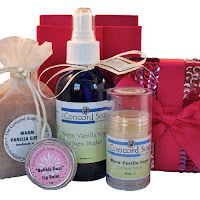 Concord Soap's SALE! Our offer for the big sale is 15% off every item in our shop, www.ConcordSoap.etsy.com + FREE SHIPPING on all orders over $30. As usual, every order will also contain a free sample of our body butter. Place your order, pay & a refund will be sent shortly or you could choose to not pay until a new invoice is sent. Yippee, it's YART SALE time! What's a yart sale, you ask...Art + yard sale = YART SALE! It's Etsy's version of a yard sale. I created a whole section in my Etsy shop just for my Yart Sale goodies! The mark-downs are all over the board...10% - 33% off. All the prices have been adjusted, so there is no need to wait for a new invoice or PayPal refund. Happy YART SALE shopping!